Is Disciple.Tools really free? And how long do I get to demo it? And how long do I get to demo it? Disciple.Tools is free but hosting it is not. The short answer is that the Disciple.Tools software is free, but it also requires hosting, which is not free and involves ongoing costs whether in money or time. This discussion can get a bit technical so an analogy might be helpful. Imagine that the Disciple.Tools software is like a house, a free house. It would be a blessing to get a free house, right? The folks behind Disciple.Tools have figured out how to build the software in such a way that they can give everyone a free house. However, every house needs a piece of land to set upon (aka a hosting server) and the “land,” unfortunately, is not free. It must be bought or rented. While you are demoing Disciple.Tools, they are basically allowing you to stay temporarily on land being maintained and paid for by the Disciple.Tools staff in a model of your future home. As most property owners know, managing property requires significant investment especially in the land of the internet world where vulnerabilities such as hacking are common. While hosting and managing a server yourself has many benefits such as increased flexibility and control, it also has drawbacks such as increased responsibility and the need for certain technical knowledge and skills. This past year, hundreds of people have come to this demo land and began decorating the model houses and living in them. While some users have purchased and are managing their own land (self hosting a server), this can be overwhelming for the average Disciple.Tools user. Many have requested a simpler option where they would pay someone else to manage their land. Therefore, Disciple.Tools has chosen not to limit these temporary stays, while they work to provide a long term managed hosting solution. This solution should be ready soon. At that time, they will set a limit to the temporary demo stays and provide a way to migrate your house to another parcel of land. What does hosting and managing a server yourself really entail? Wait, I don’t even know what this means! If you have no idea what these things are, you probably won’t want (and shouldn’t try) to host Disciple.Tools yourself. Even though you would gain more control, it is important that you know what you are doing so you don’t put yourself, your co-workers, and the seekers whom you serve at risk. The Disciple.Tools staff is working to mobilize a few Kingdom-minded technicians to set up a couple managed hosting options for Disciple.Tools users. 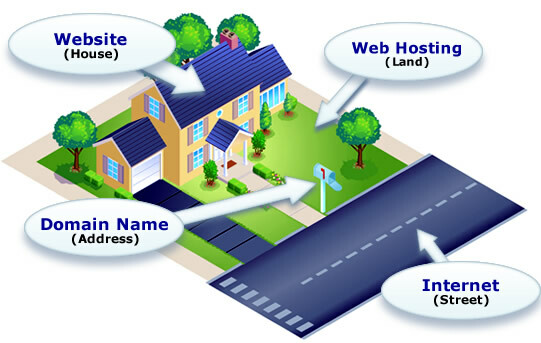 There are MANY other hosting companies out there that offer varying degrees of the services listed above. You can even hire someone to manage one of these for you. The main difference between these companies and Disciple.Tools’ desired long-term solution is that these are businesses simply looking to make money. Profit drives their customer service, not the acceleration of teams and churches to fulfill the Great Commission. Disciple.Tools is searching for a Kingdom solution that shares the values that inspired Disciple.Tools itself. If you are someone who desires the flexibility and control of self-hosting and feels pretty confident about going through a hosting service, our friends at LaunchM2DMM put together a step-by-step video guide on the setup process for this via InMotion Hosting. Email admin@kingdom.training for password access. For security reasons, we will ask you for your name, email, company name, and how you found out about Disciple.Tools before providing the password. You are free to use any alternative hosting service that allows you to install WordPress. Simply grab the latest Disciple.Tools theme for free by going to Github. If you are a user who would rather not self-host or feel overwhelmed by this article in general, stay in your current demo space and use it like normal. Whenever a long-term solution is developed for users like you, we will help you transfer everything from the demo space to that new server space. The main changes will be a new domain name (no longer https://xyz.disciple.tools) and you will have to begin paying for the managed hosting service you choose. The rate, however, will be affordable and the service worth more than the headache of self-hosting. 0 responses on "Is Disciple.Tools really free?"